Students become engaged in the process of scientific inquiry. 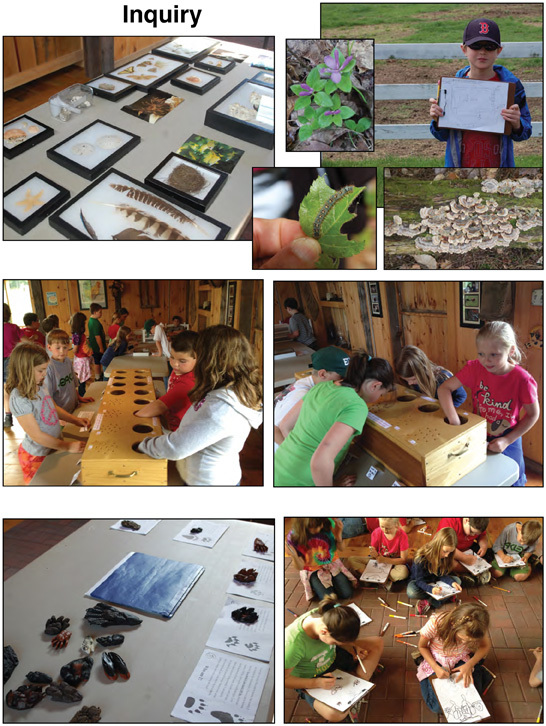 Scientists learn about the natural world through scientific inquiry. • Scientists ask questions that can be answered through investigations. • Scientists design and carry out investigations. • Scientists think logically to make relationships between evidence and explanations. • Scientists communicate procedures and explanations. Students consider what makes questions scientifically testable. Students gain a common set of experiences upon which to begin building their understanding. Scientists ask questions that can be answered through investigations. • Testable questions are not answered by personal opinions or belief in the supernatural. • Testable questions are answered by collecting evidence and developing explanations based on that evidence. Students conduct an investigation in the context of a community health department. They propose possible sources of the health problem and describe how they might confirm or refute these possibilities. • Scientists think critically about the types of evidence that should be collected. Scientists analyze the results of their investigations to produce scientifically acceptable explanations. Students deepen their understanding of scientific inquiry by performing their own investigation and evaluating one performed by another student. Scientific inquiry is a process of discovery. • It begins with a testable question. • Scientific investigations involve collecting evidence. • Explanations are evidence based. • Scientists communicate their results to their peers. It should be a goal of the instructor to foster the development of science process skills. The application of these skills allows students to investigate important issues in the world around them. Inquiry-based units will include many or most of the following process skills. These process skills should be incorporated into students? instruction as developmentally appropriate. Comparing and contrasting - identifying similarities and differences between or among objects, events, data, systems, etc. Note: As an example, these processes are applied in the three key ideas in Standard 1, which outline scientific inquiry. Inquiry may proceed in a cyclical pattern with students moving fro m Key Idea 1 to Key Idea 3 and back to 1 again.